Cold mix asphalt is manufactured using either an emulsion — a mixture of bitumen and water — or foamed bitumen. The aggregate does not need to be heated during mixing, so mixing and application temperatures are much lower than those required for hot mix asphalt, with much reduced energy consumption and CO2 emissions. Another benefit is that cold mix technology works very well with recycled asphalt. It is possible to further increase the sustainable development benefits from using this type of application. “There are quite a few places in the UK where the material has been installed for over 10 years — mainly on footways, haunchings, local roads and park and rides — but also on the A90 trunk road,” says Dennis Day, Nynas Technical Support Manager in the UK. Nynas Bitumen have been manufacturing emulsions for cold mix asphalt in the UK since the 1990s. The material laid on the A90 west of Dundee is Tayset, a cold mix asphalt produced by Tayside Contracts using Nymuls CP 50 emulsion. Tayside Contracts had a long-standing relationship with Nynas and was aware that the company had experience of supplying emulsions for cold mix asphalts in Scandinavia. “We went to have a look at it and agreed in principle that it was something we would take forward,” says Tayside Contracts Head of Operations Douglas McKay. The organisation secured government funding for a three-year knowledge transfer partnership with Dundee University to develop Tayset. Trials proved that the material would be suitable for both base and binder courses, so Tayside Contracts began using it at trial locations. “We started using it in footpaths as a replacement for conventional binder material, and then moved onto carriageway trials within residential areas,” says Mr McKay. It was also used at a park and ride in Kinross. When the contract came up for structural maintenance of a section of the A90, Tayside Contracts put in a compliant tender that met Transport Scotland’s specification, but also submitted an alternative bid with Tayset as the base course. The organisation was successful on its compliant bid, but persuaded Transport Scotland to allow a small section of Tayset to be laid within the works — the first time an emulsion-based material had been used on a UK trunk road. Tayset can be stored for several days and the material installed on the A90 was manufactured in advance. The cold mix asphalt was installed along an 800 m stretch of the A90 in two 150 mm layers. The material had a recycled asphalt content in excess of 70 % and was installed during day and time working. The material's ability to allow traffic immediately without the need for cooling improved efficiency and reduced construction time; it was estimated the material saved 43 tonnes of CO2 during construction. The traffic count at construction was 19 500 vehicles per day, of which one third were multi axle vehicles. The road has a 40-year design life, and the material has so far been in place for 10 years without any maintenance – despite theoretically more than 65 million vehicles travelling over it since construction. For monitoring purposes material was installed on a slip road onto the A90 which was cored after three and a half years’ service. The wheel tracking, stiffness and water sensitivity results demonstrated the material's properties and ability to perform. 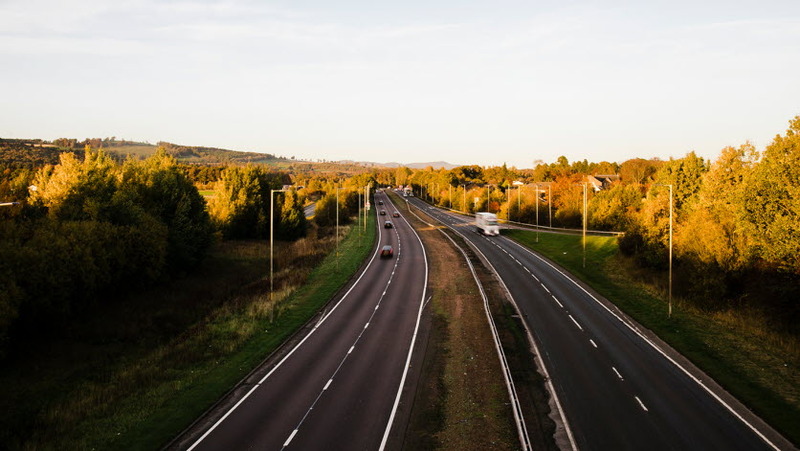 Since the A90 contract, Tayside Contracts has continued to use cold mix asphalt as both a base course and binder course material on local carriageway and footpath contracts in Dundee, Perth and Kinross, and Angus. Three years ago, the organisation also developed a cold mix product, Taydress, which is a cold mix asphalt which is surface dressed for use as a surface course.